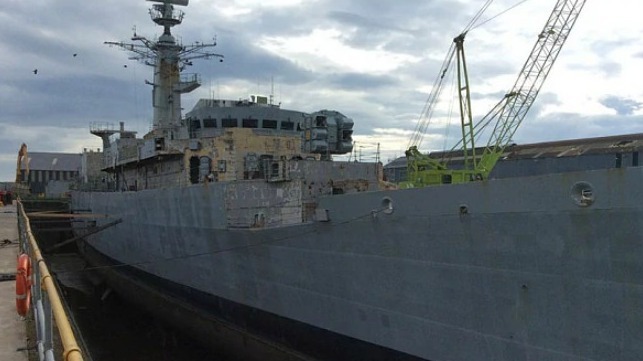 Home | News | Does Europe Have Enough Shipbreaking Capacity? Under the EU Ship Recycling Regulation (SRR), vessels flagged in EU countries will have to be scrapped at EU-approved yards beginning next January. All 20 yards on the current approved list are within the EU, and members of industry have expressed skepticism about whether they have the capacity. In a report released Monday, advocacy coalition NGO Shipbreaking Platform pushed back, asserting that European ship recyclers already have enough room. NGO Shipbreaking Platform calculates the maximum capacity of the current EU-listed yards at 1.15 million LDT, well above historical utilization levels. Even if these 20 yards are not enough, the Platform asserts, additional yards in Scandinavia, Turkey and the United States will likely be added to the list before the end of the year, bringing more approved capacity on line. The European Community Shipowners’ Association (ECSA) puts Europe’s maximum scrapping demand much higher than this amount, at up to 1.6 million LDT per year. It also questions the accuracy of the “theoretical” maximum capacity used in the Platform’s estimate, and it notes that the EU yards have never recycled more than 65,000 LDT in a year. In addition, ECSA notes that many of the 20 yards on the list – including the yards with the capacity for the largest ships – also perform other activities, like ship repair, and may not be available for shipbreaking. “ECSA is of the opinion that the EU Commission urgently needs to provide the European shipping industry, which is operating on a global level, with a list which is geographically well-balanced,” ECSA spokeswoman Gundrun Janssens said in a statement. Some European owners have warned that they may have to reflag their ships if the EU does not expand the SRR list to include non-European recyclers. In particular, industry advocates have promoted the approval of some of the South Asian shipbreakers that currently lead the shipbreaking trade. NGO Shipbreaking Platform alleges that the South Asian yards have unsafe working conditions and tend to pollute the marine environment; however, some of these yards have invested in facility upgrades and certifications to meet the Hong Kong Convention standard for ship recycing, and prominent owners (notably Maersk Line) have suggested that they are suitable candidates for the SRR list. Shipbreaking yards in India, Pakistan and Bangladesh buy and demolish the overwhelming majority of the world’s decommissioned tonnage. At current rates, these yards are able to offer between $425 and $450 per light displacement ton (LDT), a measure of steel content. Due to a variety of market factors, European shipbreakers pay much less – roughly $125 per LDT, according to a recent industry estimate – and the price can be even lower if there are hazardous substances on board the vessel. This steep difference means that selling a 20,000 LDT merchant ship to an EU shipbreaker could cost the shipowner millions of dollars in foregone revenue.